FindIT Group.org • View topic - Who bought the puts on United and American ahead of 9/11? and many other questions answered. While looking for a video to test my "BB Code" for posting Google videos, I came across a very uncomfortable documentary. This Michael C. Ruppert video from around 2004 exposes the "truth and lies" surrounding 9/11 and beyond. This is not a typical 9/11 story with crashing planes. He presents a frightening investigative report as an ex cop turned author and activist attempting to defend the constitution. This is not "tin hat" stuff. A 2008 retrospective on Mr. Ruppert's 2004 - 2006 writings and speeches regarding politics and the economy written in March, 2008. My understanding is his web site is out of business. Thank you for sharing this Joann!!!! An MIT study "On the Effectiveness of Aluminium Foil Helmets"
The helmets amplify frequency bands that coincide with those allocated to the US government between 1.2 Ghz and 1.4 Ghz. According to the FCC, These bands are supposedly reserved for ''radio location'' (ie, GPS), and other communications with satellites. The 2.6 Ghz band coincides with mobile phone technology. Though not affiliated by government, these bands are at the hands of multinational corporations. It requires no stretch of the imagination to conclude that the current helmet craze is likely to have been propagated by the Government, possibly with the involvement of the FCC. We hope this report will encourage the paranoid community to develop improved helmet designs to avoid falling prey to these shortcomings. Re: Who bought the puts on United and American ahead of 9/11? VIENNA, Jan 25 (Reuters) - The United Nations' crime and drug watchdog has indications that money made in illicit drug trade has been used to keep banks afloat in the global financial crisis, its head was quoted as saying on Sunday. Authored by an international team of physicists, chemists, and others, the research paper was titled "Active Thermitic Material Discovered in Dust from the 9/11 World Trade Center Catastrophe." It was published in The Open Chemical Physics Journal, 2009, Vol. 2., and is available online for free download. The lead author is Niels H. Harrit of the Department of Chemistry, University of Copenhagen. 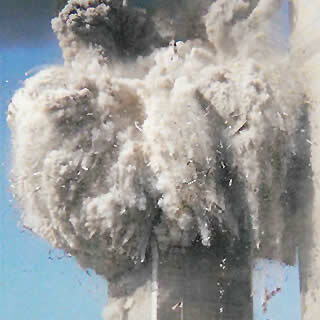 The paper ends with the statement, "Based on these observations, we conclude that the red layer of the red/gray chips we have discovered in the WTC dust is active, unreacted thermitic material, incorporating nanotechnology, and is a highly energetic pyrotechnic or explosive material." More on the World Trade Center 7 (WTC7) collapse.